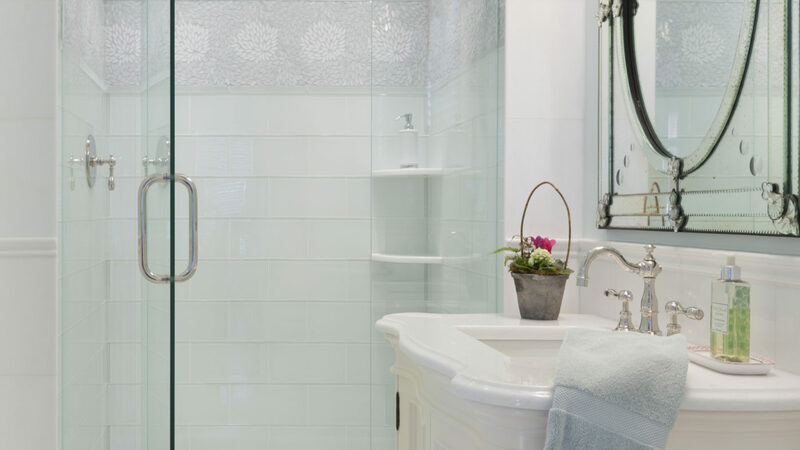 Amy Eisenberg, kitchen and bath designer at Karen Berkemeyer Home, upgraded three bathrooms of the original 1990’s custom-built Georgian Colonial style home in Greenwich, Connecticut. 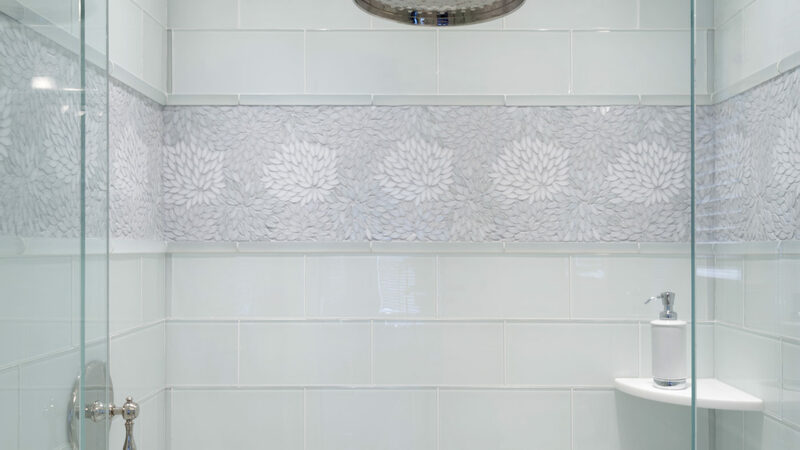 Amy began this project by sorting out and combing through materials to hone in on the desired style. 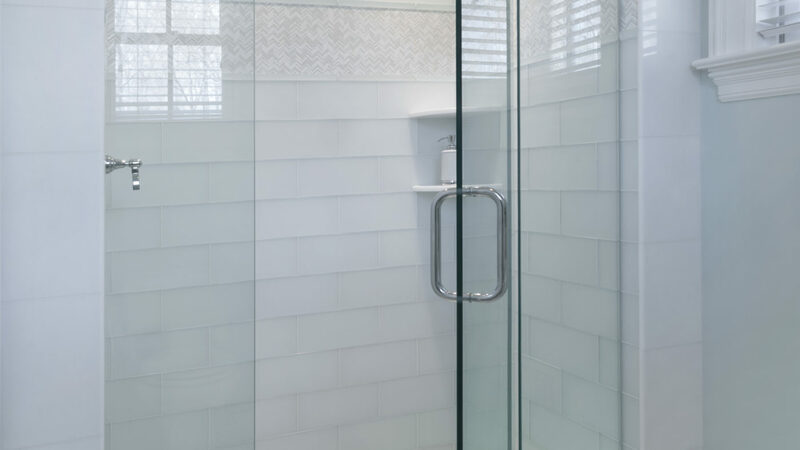 Pure white Thassos marble was the choice for field tile and to be used as a wainscot. 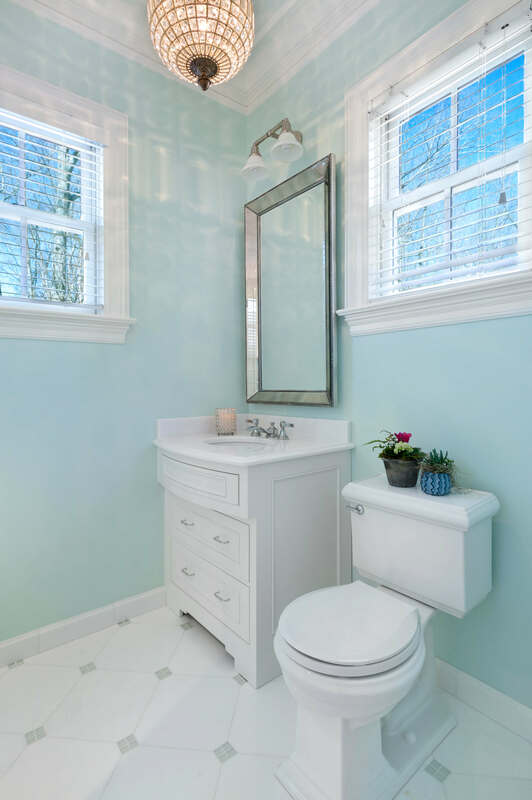 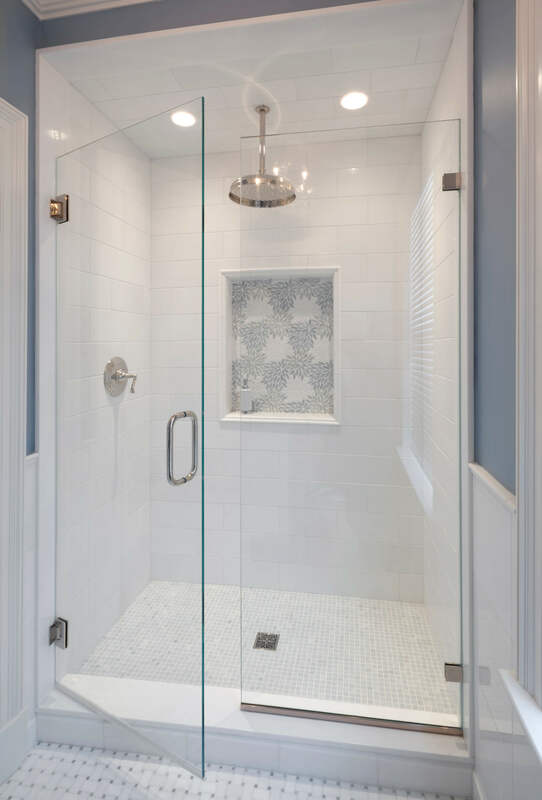 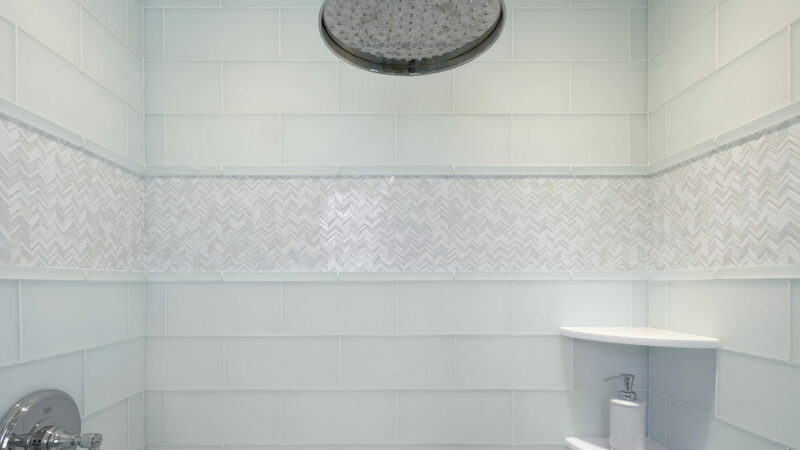 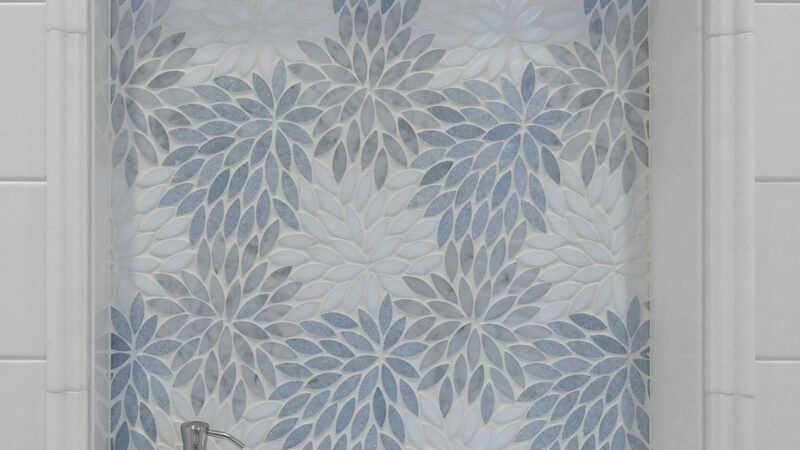 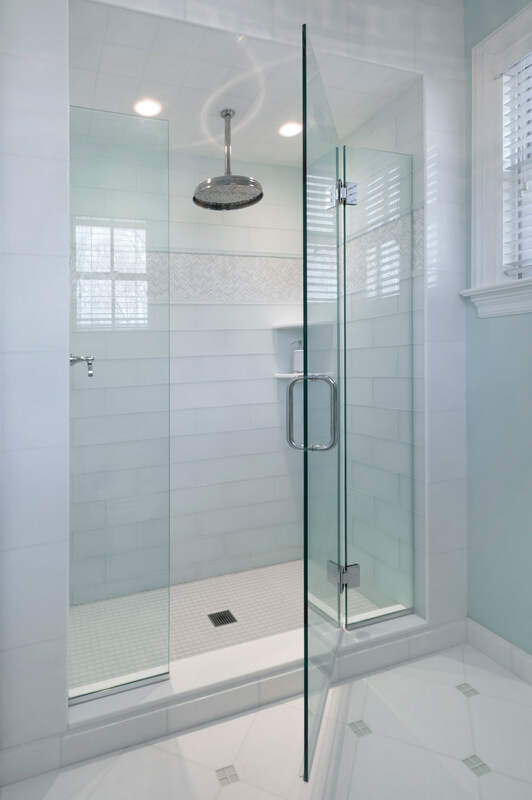 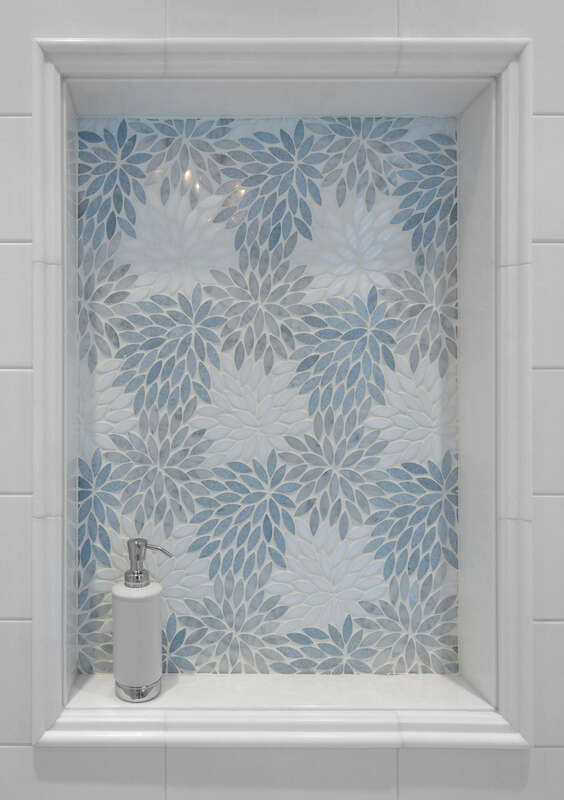 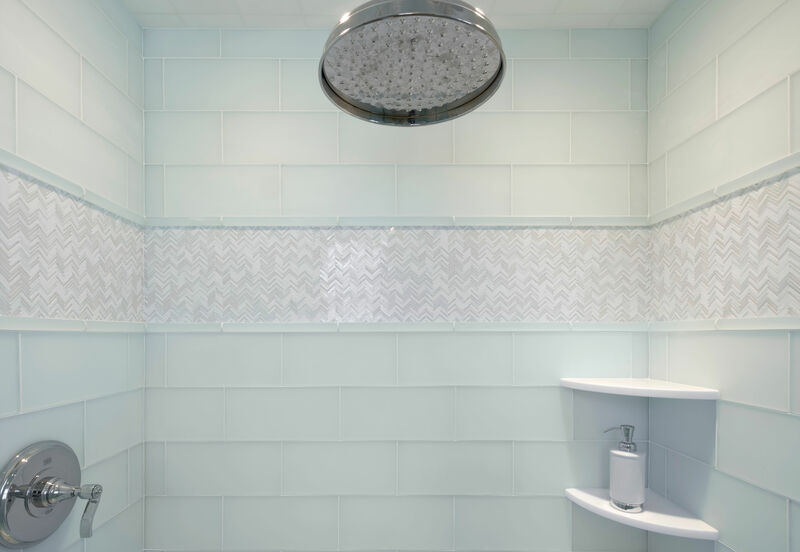 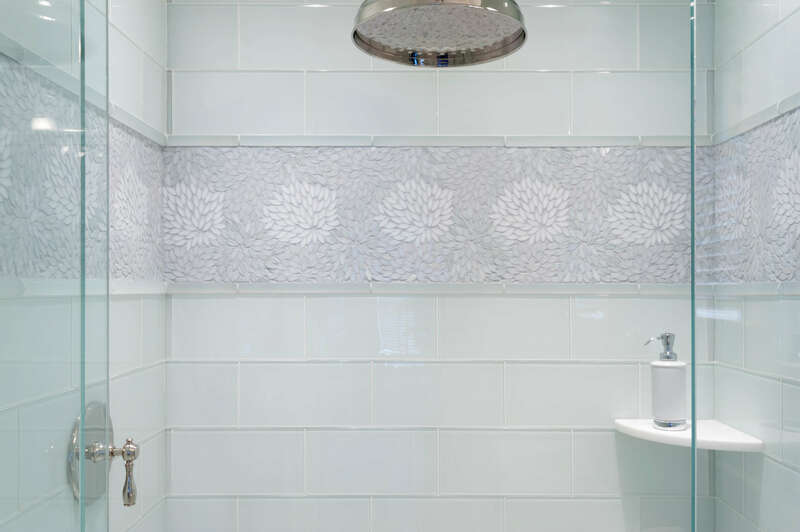 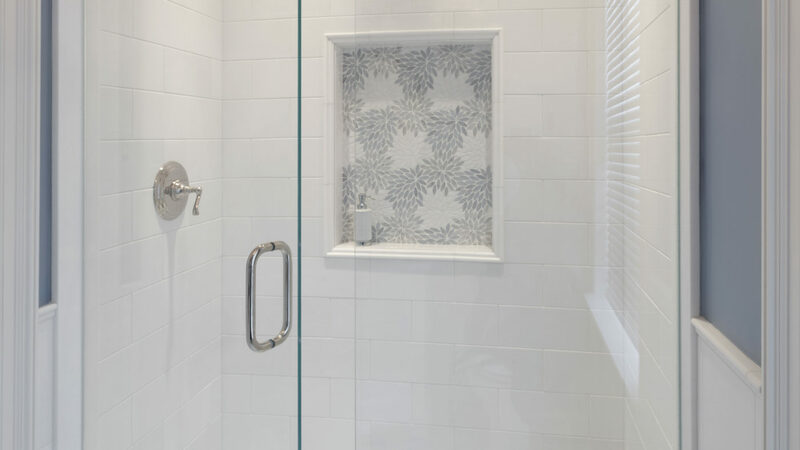 Amy designed the niche as a strong focal point for the blue bath and brought a banding into the shower for the eldest daughter’s bath and the guest bath. 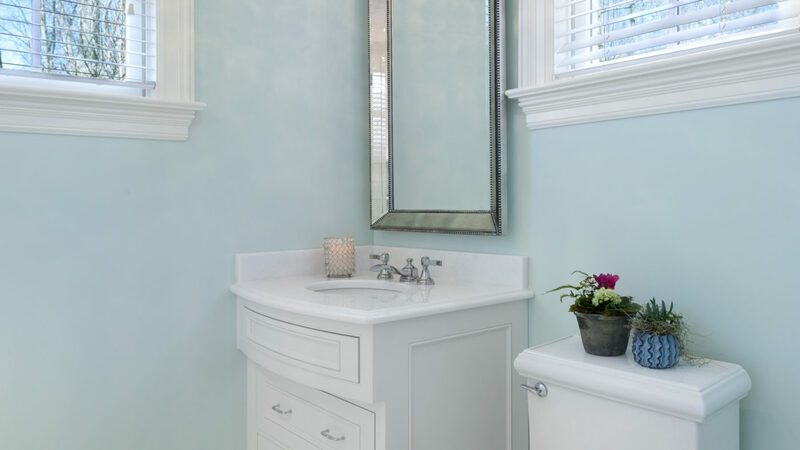 A crisp, clean and classic look.